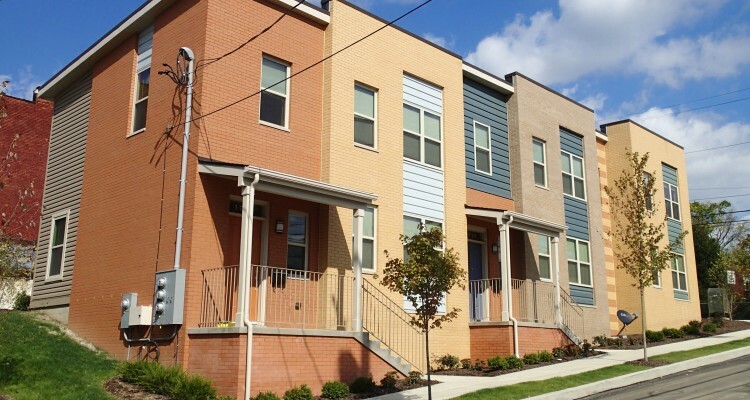 Urban infill housing in the Hill District by TREK Development. The clatter of new housing construction reverberates all around the city. There are thousands of units planned, under construction and up for sale. Buncher and Oxford are bringing hundreds of units to the Strip. More than 1,000 units are coming to the Hill, 500 units to the South Side, 360 to Eastside III. Hundreds more in Lawrenceville. By some estimates, 10,000 units will shortly come online. But only 300—that’s three percent—are currently earmarked for low-income buyers or renters. With the explosive changes in city real estate after a decades-long flatline, there are too many people priced out of new construction and the hot neighborhoods where most of it is happening. 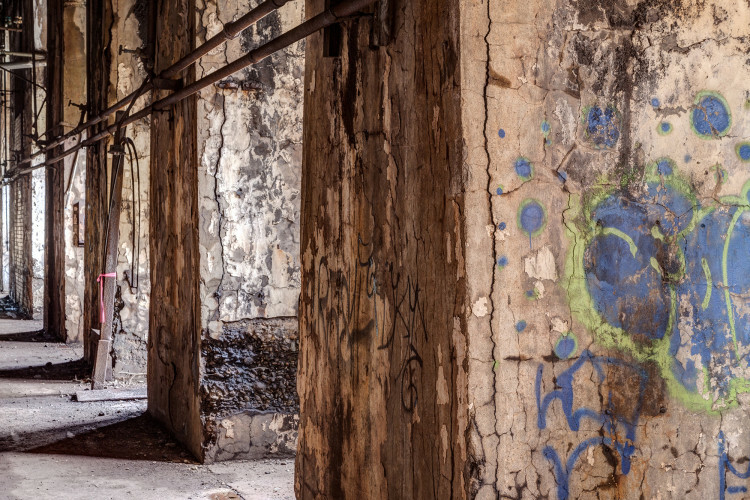 As rates rise, as older housing is torn down, as once-challenged neighborhoods become gentrified, older, less wealthy residents increasingly find themselves left out. And younger ones can’t get in. Affordable housing is one of the hottest topics in town. So who’s doing what about it? 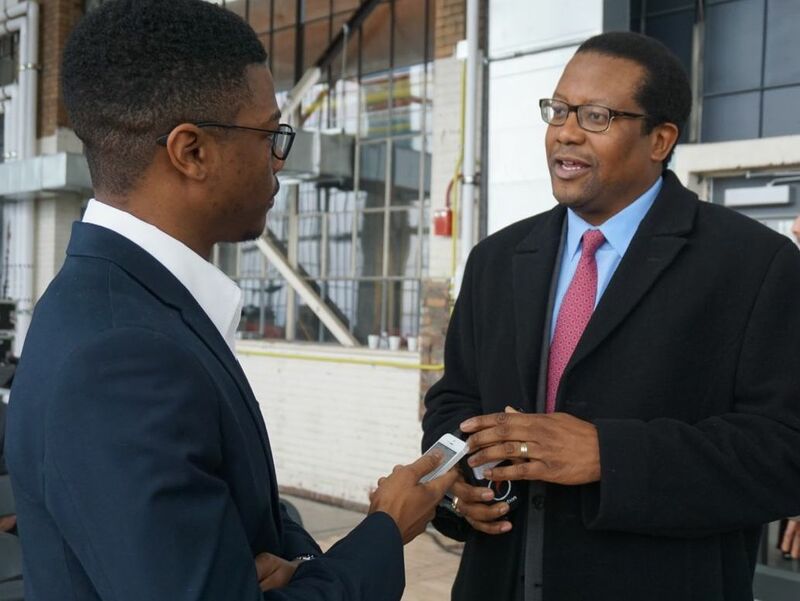 Generett, whose Urban Innovation21 creates successful partnerships with some of the region’s most successful players in some of the city’s most impacted neighborhoods, is used to articulating challenges and finding ways to create workable, win-win solutions. “In the past,” Generett points out, “we didn’t look for ideas. Now we have to. Because this is the issue for our times. How serious do we want to be? Pittsburgh is a fast market now. We could have put in safeguards all along. Should have. Now we’re going to have to. To address this significant challenge, NEXTpittsburgh assembled a virtual roundtable of some of the region’s leading players—public officials to foundation professionals, developers to designers—in an effort to define the challenges and seek viewpoints and solutions. To hear Mayor Bill Peduto talk, he would have set all Generett’s rubrics in motion decades ago. But he couldn’t. Instead, he created the Affordable Housing Task Force to find the best ways to preserve neighborhoods while securing affordable housing. “We have to plan for a variety of options that allows long-time residents to stay in their communities,” Peduto says, “while also creating new housing in the city. As principal of a cutting-edge design firm, and chair of the city’s Planning Commission, Christine Mondor has been at the forefront for a decade and more searching for affordable, sustainable design. It’s a huge challenge, she says. “We’ve been in a housing bubble for the past few decades,” she adds. “Housing has been below market value. Now it isn’t. What do we require for affordable housing in publicly funded projects? What is the right formula? There’s no check or balance in place now. So what’s our next step? Do we set numbers? Do we create quotas for development? Right now we’re trying to figure out how to do it. 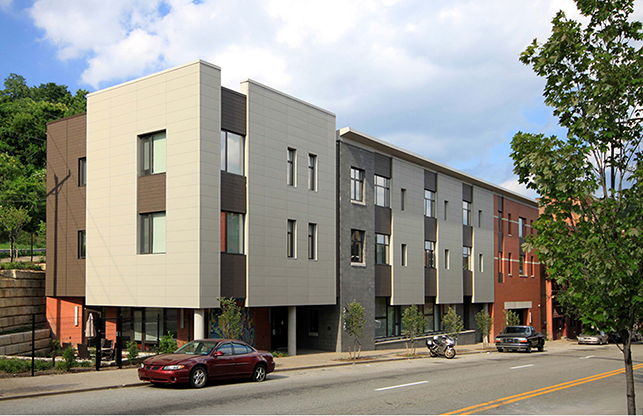 FortyEighty Architecture won an AIA Pittsburgh Design Award for this Action Housing project. In 1957 Mayor David Lawrence and philanthropist Richard King Mellon established an organization to address the region’s housing issues: Allegheny Council To Improve Our Neighborhoods-Housing. ACTION-Housing has long worked to develop real estate designed to address community needs and serve the most vulnerable populations. 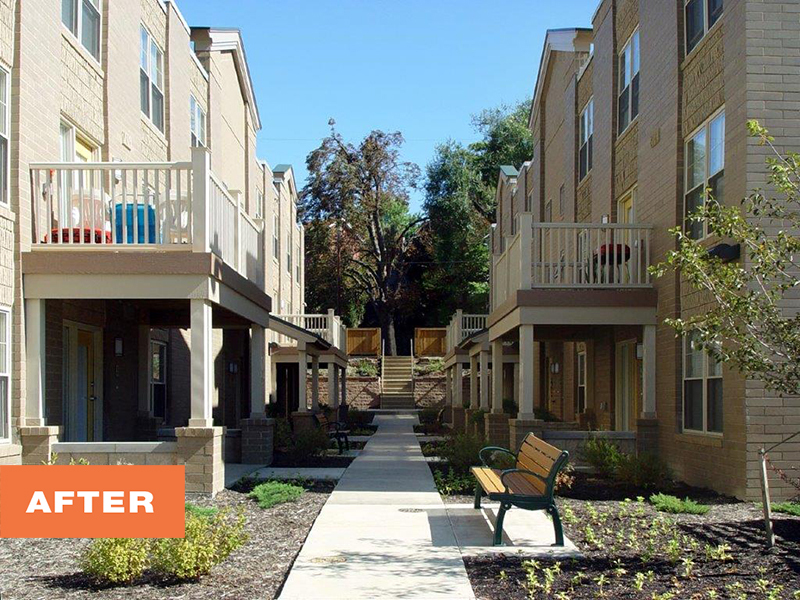 Following its charter, since 1985 ACTION-Housing has played a significant role in the development of more than 4,500 housing units for the elderly, disabled, homeless, low-income, and other at-risk populations. “Right now,” Swanson says, “a full 80 percent of people who need affordable housing live in privately owned, unregulated houses. So to make the market function, we need that supply of naturally affordable housing. Having said that,” Swanson adds, “62 percent of people living in poverty live outside the city—in areas where there are also huge surplus housing markets. So for the short-term at least, the question is how do we integrate those markets in the city? McKeesport, for example, is just 12 miles away. It’s ludicrous not to see it as part of the city. Duquesne is just six miles away. We need to think of the county, not the city. “For the past 30 years,” Metropulos adds, “the city housing market has been flat. Six years ago, in 2010, people realized it was undervalued—and it stabilized. Then things really moved forward. Then came the challenge: how not to displace people. “It’s hard to build new housing for moderate-to-low-income people,” she adds. “We can’t do moderate-to-low income housing without a lot of subsidies. Construction costs are very high—$250,000 to build a 1,500-square-foot house. That means it’s virtually impossible to make affordable, moderate-to-low income housing. So we need to look at existing housing. “What should happen?” Swanson asks. “Right now, we should use the existing housing market. When people move out of standard property, owners reduce rents to attract tenants. People will move in. Will that create enough inventory? I don’t know. I don’t think anyone knows. “Those discussions are underway,” Metropulos adds. A place for everybody is just where the foundation community generally, and Rob Stephany specifically, are headed. Traditionally a necessary—and willing—partner in funding affordable housing, foundations like the Heinz Endowments continue to lead the efforts to make the city affordable. Stephany, former URA executive director and East Liberty Development Inc. director of real estate, begins with certain definitions. “There’s a bubble around our city,” he says, “that starts from the Central North Side and ends at Regent Square, from Greenfield to North Point Breeze. Inside that bubble stands intense concern about taxes, rent—about whether folks feel welcome in the places they’ve lived. Outside that bubble, in neighborhoods from Arlington to Dormont, there’s still a lot of affordable housing. “But,” he adds, “we have very stark market pressures now. High values bump into depressed areas. There are double yellow lines that divide wealth from poverty. The spatial segregation is stark. It’s palpable. 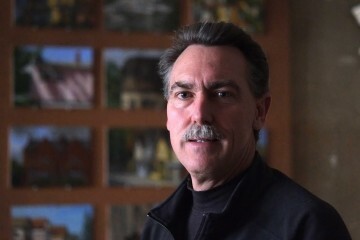 “Sure, there are exciting projects underway in Larimer, the Hill, and East Liberty. But how do we integrate long-term residents into those successes? That’s our question. “People have struggled in East Liberty, Lawrenceville and Highland Park,” Stephany continues, “Section 8 voucher holders, seniors on fixed incomes, people displaced when older housing is torn down. Demand has outstripped supply. So the challenge will be that revitalization benefits long-term neighborhood stakeholders. “Currently, the effort is to use land trusts and tax credits and other mechanisms to create affordable housing. And to create systems where we can tie families to the support systems they need—social, transit, and so on. To take a census of who’s lived in that neighborhood for a long time to understand who would be compromised if rents and taxes were to increase. To see how to make that constituency a part of the agenda.